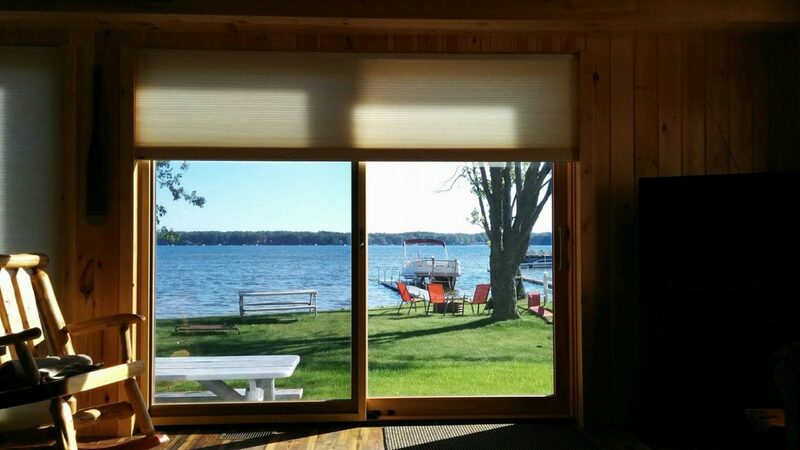 We were back at this lake house to install some Norman Window Fashions cordless Smartrise honeycomb shades this week. Norman’s patented Smartrise control system for cellular shades offers virtually invisible top down bottom up features with effortless functionality. If you are interested in learning more about how window shades can improve the comfort of your home, click HERE, give us a call today by calling 231.775.8776 or Contact team at All Season Window Tinting using our online form submission for an absolutely free, no obligation consultation and quotation on implementing home window shades. Our service areas include Traverse City, Grand Rapids, Cadillac, Petoskey, Roscommom, Ludington Michigan and their surrounding areas.